A fast-moving green and yellow parade travels down Carter Ave. in New Albany. There was a fast-moving parade of green and yellow tractors through downtown New Albany, Monday afternoon, March 26, 2018. It started about 2:30 p.m. traveling northeast from the Union County sheriff’s office at 300 Carter Ave. It crossed the Tallahatchie River via the Bankhead St. bridge and turned onto Moss Hill Drive, thence up the hill to the northwest. The parade ended behind the old National Guard Armory at 917 Fairground Spur Road. Tractors parked in impound area. It was a singular parade consisting of eight green and yellow John Deere tractors. They were driven by an assortment of sheriff’s deputies and others drafted for the occasion. Some appeared more experienced than others at driving farm tractors. The tractors were parked in a fenced-in area that serves as an impoundment yard for the sheriff’s office. Local law enforcement officials are mostly silent about the source of the tractors, all of which were yellow and green John Deere products; no red Case tractors, blue New Hollands or orange Kubotas, etc. Union County Sheriff Jimmy Edwards would only say, “We’ve had a pretty big investigation by my office going on since Wednesday,” (March21). 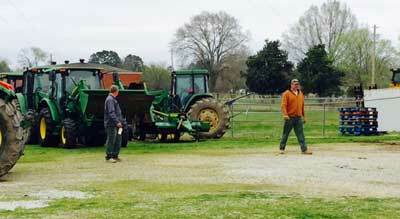 Local officials are tight-lipped about the tractor parade’s significance. Chief Chris Robertson of the New Albany Police Department (NAPD) also said he could not comment on the ongoing investigation. It is known that multiple law enforcement officers including the NAPD, the Union County Sheriff’s Office and the Mississippi Bureau of Investigation (MBI) are involved in the investigation. 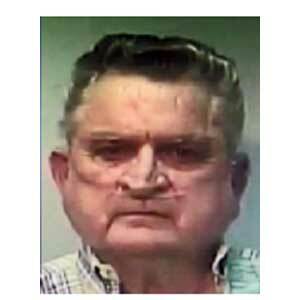 Lee Goolsby, currently out on bond, was arrested and charged with grand theft last week. It is known that NAPD officers arrested Lee Goolsby, age 71, last week in connection with the theft of a John Deere model 72-20 tractor. 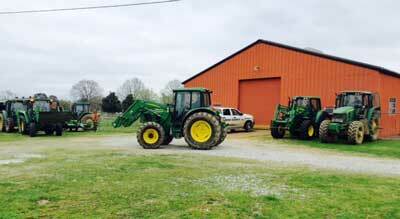 It was reported that the tractor was stolen about a week earlier from a hayfield near Coulter Drive in New Albany. Regarding last week’s arrest of Goolsby, NAPD Chief Robertson said, “We received a tip through Crime Stoppers. With the help of local law enforcement agencies in Pontotoc County and the Mississippi Bureau of Investigation, we executed a search warrant and located it.” Goolsby is a Union County resident, but the tractor was reportedly found on land he owns in Pontotoc County. Goolsby was charged with grand theft. He posted a $25,000 bond and was released from the Union County jail. Law enforcement officials indicated to NAnewsweb.com that more information regarding the investigation related to the John Deere tractors might be released today or tomorrow.